New car sales dropped by 20.5 per cent during one of the biggest months of the year for the new car market. Some 338,834 new cars were registered in September, around 87,000 less than in the same month last year. Declines were reported in every aspect with diesel and petrol registrations dropping by 42.5 and 6.7 per cent respectively. Likewise, private and fleet sales fell by around a fifth. This means that for the year so far, new car sales are down by 7.5 per cent, with 1.9 million units registered. However, rather than a reflection of the state of the industry and UK economy, the Society of Motor Manufacturers and Traders (SMMT) – which publishes the figures – has stressed that this significant slump is partly down to the new Worldwide Harmonised Light Vehicle Test Procedure (WLTP) emissions standards. Since the turn of September, all cars sold in the EU have to undergo the WLTP test, which measures all regulated emissions, as well as CO2 and fuel economy but with an emphasis on real-world outcomes rather than the unrealistic lab-like results of the former test. Other contributing factors were an unusually busy August, confusion over diesel policy and VED changes. Mike Hawes, SMMT chief executive, commented: “With the industry given barely a year to reapprove the entire European model line-up, it’s no surprise that we’ve seen bottlenecks and a squeeze on supply. 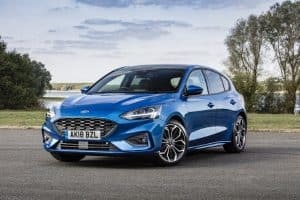 The Ford Fiesta was yet again the best-selling model of the month with 12,227 units shifted in September, taking its running total for the year up to almost 80,000. Other big sellers last month were the Vauxhall Corsa and all-new Mercedes-Benz A-Class.